Select the best chocolate?! And you thought Chocolate 101 would be a boring history lesson! No way. 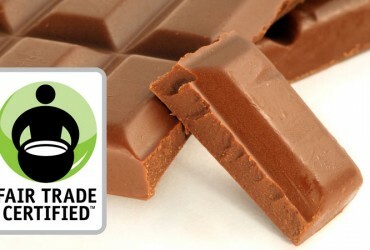 Enjoying chocolate is all about EATING chocolate… and when you eat chocolate, always choose the best! Does that mean you need to know the difference between Godiva and Hershey’s? Nope. Choosing the best chocolate means knowing what’s in it. If you pay attention to the ingredients, you will be able to select the best chocolate almost every time – you’ll smugly walk out of the store with your 99 cent Hershey’s and leave the Godiva on the shelf. The first thing I do when I select a chocolate is flip it over and check the ingredients, all of which you should recognize. 2) Sugar. Cane juice, molasses, and other natural sweeteners are acceptable substitutes. 4) Vanilla. (optional) Vanillin is a fake vanilla made from pine sap. Avoid it! 5) Soy lecithin. (optional) It’s used to make the chocolate bind together better. It is sold as a health food supplement, though some argue that it is not healthy. 6) Any add-ins, such as nuts, fruits, or flavorings. Make sure none are artificial or hydrogenated. The ingredients will usually fall in roughly that order. Cocoa liquor must be the first thing on the list. 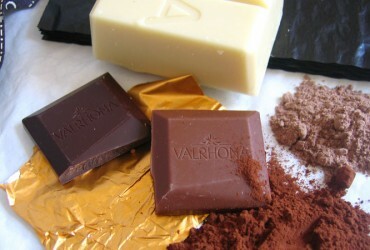 Milk chocolate can have all of the above, plus milk, which will be in the form of whole milk, milk powder, cream, etc. There’s less cocoa mass in milk chocolate, so it doesn’t need to be first on the list. Usually sugar will be first. White chocolate doesn’t have any cocoa mass, but it does have cocoa butter. If you want to select the best chocolate confections, i.e., truffles, creams, etc., the same rules apply. Look for high quality ingredients. And it’s better if the chocolatier can tell you how fresh the chocolates are, and what brand of chocolate they use for their coatings. That means they know what’s going into their confections. Avoid shrink wrapped boxes that have been sitting for who knows how long. 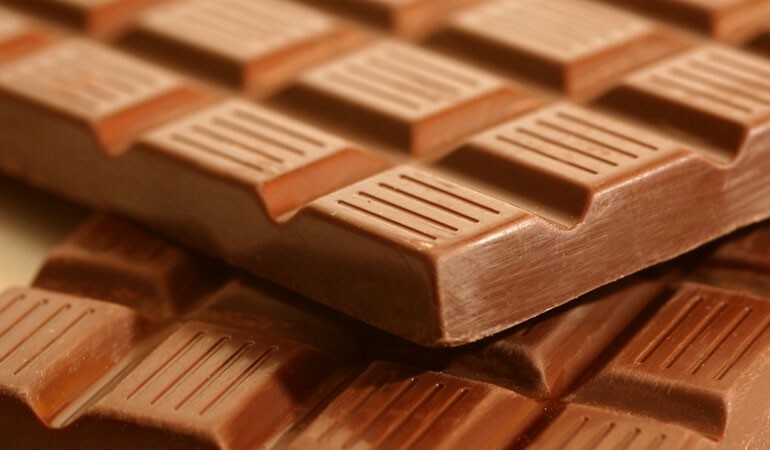 If the manufacturer sticks to the basics, they probably have a reasonably good chocolate, but even then it’s still influenced by picking good cacao beans and combining the ingredients in the right way. If they pay attention to where their beans come from it’s a good sign, since chocolate has different flavors depending on the species of bean and the conditions in which the bean was grown. Fair Trade and organic is even better, since much of the world’s cocoa is grown under brutal working conditions, often by child slaves. Makes you think twice, doesn’t it? You will pay a little more for the good stuff, but you’ll be helping to better the planet, and you’ll get a better chocolate out of it too. Also, look for attention to detail in the packaging. If they didn’t care much about the package, they probably don’t care much about the chocolate. That’s all there is to it! Simple, right? Next time you’re in the store, try this test and compare a Hershey’s with a Godiva bar. Hershey’s may not be the world’s best chocolate, but at least it doesn’t contain butter oil, hydrogenated oils, and vanillin like Godiva’s does! If you live in a small town like me and want to select the best chocolate, sometimes you just have to make the best of what you’ve got, and knowing what to look for in the ingredients is the best place to start. Don’t let hype and fancy marketing fool you. Stick with the basics, and you’ll select the best chocolate every time. Thanks for explaining how you want to find chocolate with high-quality ingredients. It would make sense to find something that uses good ingredients to know that it will taste good. I’m looking for some chocolate as a gift this holiday season, so I’ll have to check out their ingredients first. 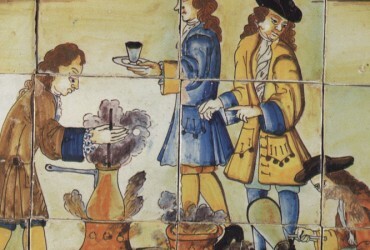 Chocolate History: Who Invented Chocolate?